Ohbehave's Junk Trunk: Would You Like To Make A Donation? I just wanted to let you know that you can now make a donation if you like. 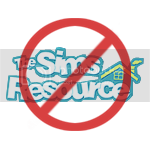 You won't recieve any special downloads or anything like that since I believe all sim related downloads should be free for all, but if you like I can give you a shout out and a thanks in a post. Any donations that are made will be used to help support my family and it's needs, including any future graphics related items I need to buy for creating. Please only donate if you want to, I would never ask for you too.